How did y'all spend your Australia Day weekend? Did you BBQ? Did you Big Day Out? 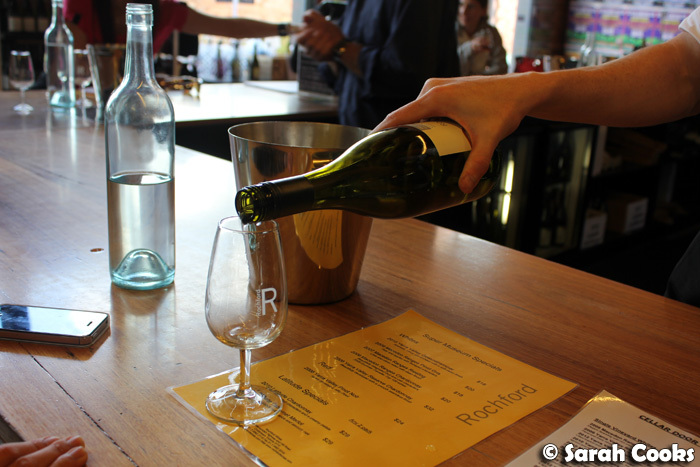 As for us, we headed across to Rochford Winery in the Yarra Valley, where we'd been invited to see Elvis Costello perform at A Day on The Green and enjoy lunch at the in-house restaurant, Isabella's. 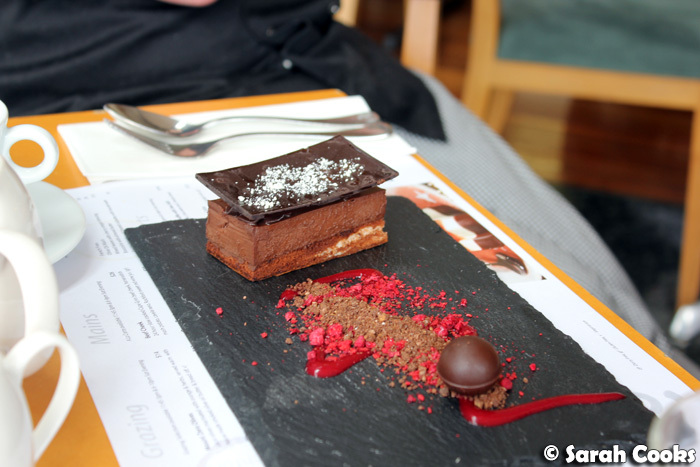 We've actually visited Isabella's twice now, once for A Day on the Green, and once for lunch shortly after they launched in October last year with Chef Ciaran Butler at the helm. (Disclosure: this was also an invitation for a complimentary meal). Let's start with the lunch! 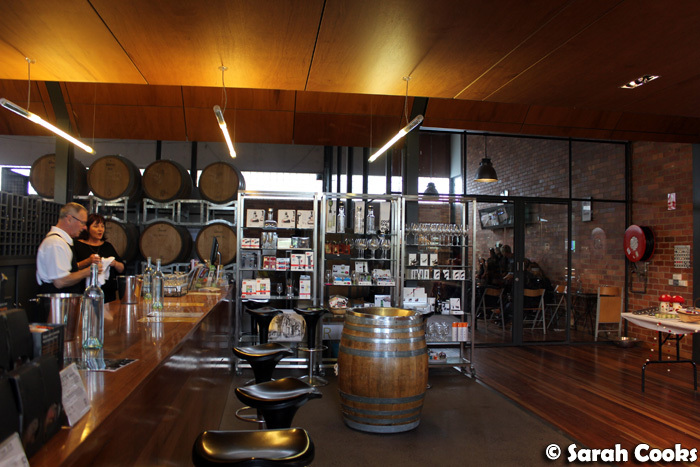 Isabella's restaurant is a large, light-filled space adjacent to the cellar door. On the Saturday afternoon that we visited, it was full of families and groups of daytrippers and tourists. Due to the volume of customers, I was a little worried that the service would be slow, but I'm happy to say my fears were unfounded - we were really impressed by how efficient the service was and how quickly our food was brought out. 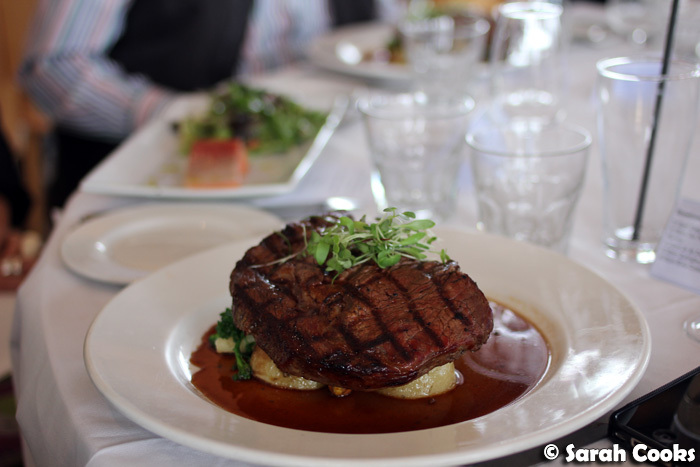 As you might expect from a destination winery restaurant, meals tend toward the pricey side (approx $34 for mains), but the portions are generous. Gluten free, dairy free and vegetarian options are clearly marked, but there didn't seem to be many options for vegetarians (one entree, no mains, a few sharing dishes like a vegetarian antipasto platter) - so perhaps it's worth calling ahead if you are visiting with vegetarians. 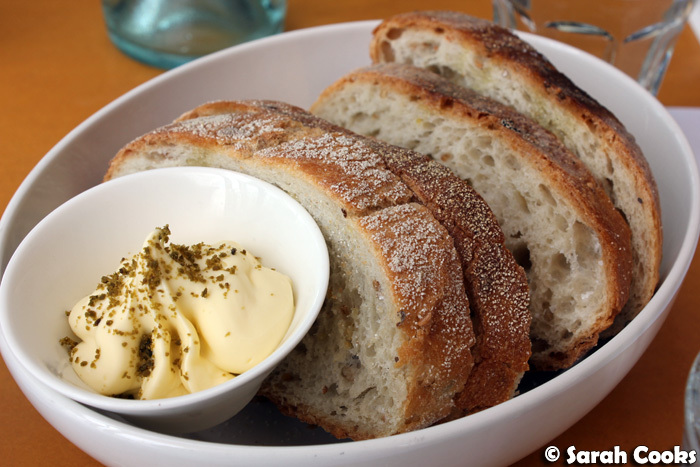 Normally I have issues with restaurants charging extra for bread, but when it's warm soy and linseed ciabatta, baked in house with smoked olive oil butter - it's definitely worth it! After the meal, we had a chat with Chef Ciaran Butler, who, despite running a big operation that needs to cater to a variety of tastes, still enjoys flexing his creative muscles with molecular gastronomy techniques. 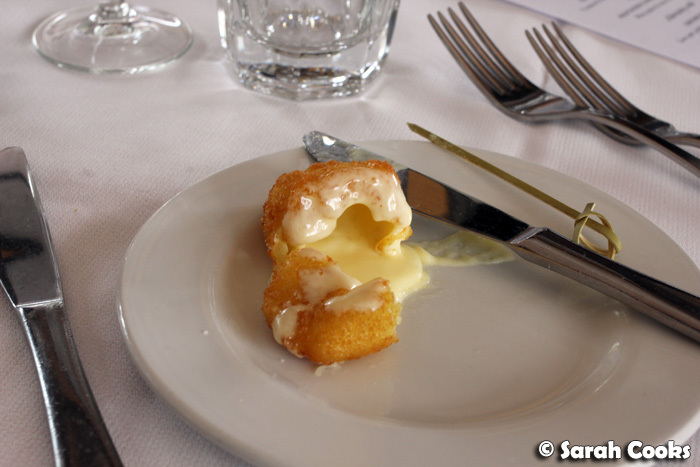 A great example is the smoked olive oil butter which is not actually butter, but a kind of solidified olive oil. The smoky flavour comes from old grape vines - Chef Ciaran uses the old vines to smoke different ingredients at the restaurant, and the resultant white ash to flavour the olive oil butter. He showed us some of the powder, and it's really intense stuff - amazing! 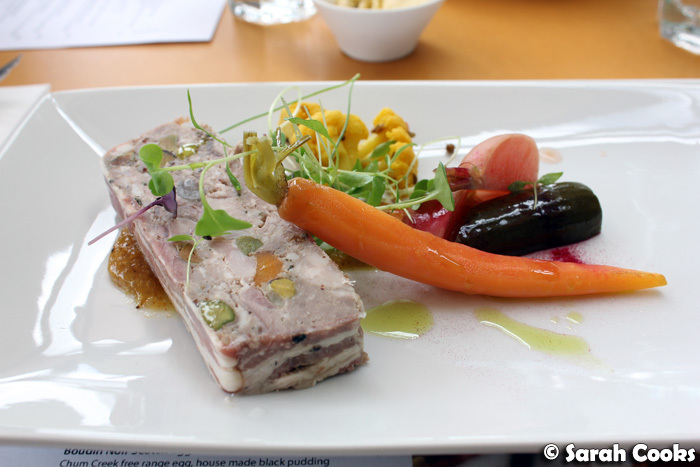 I greatly enjoyed the rabbit and pistachio terrine, with the meaty richness of the terrine being offset perfectly by the crunchy-sour vegetables. 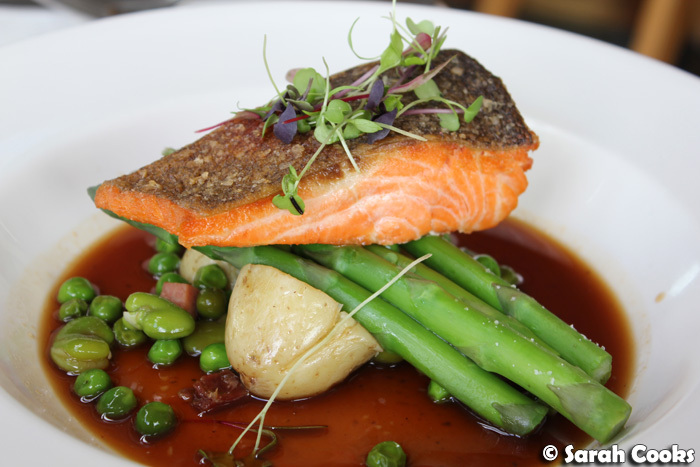 I thought that I was going for a light option ordering ocean trout, but the dish was actually quite substantial, especially with the addition of jamon serrano pieces and a dark savoury jus. 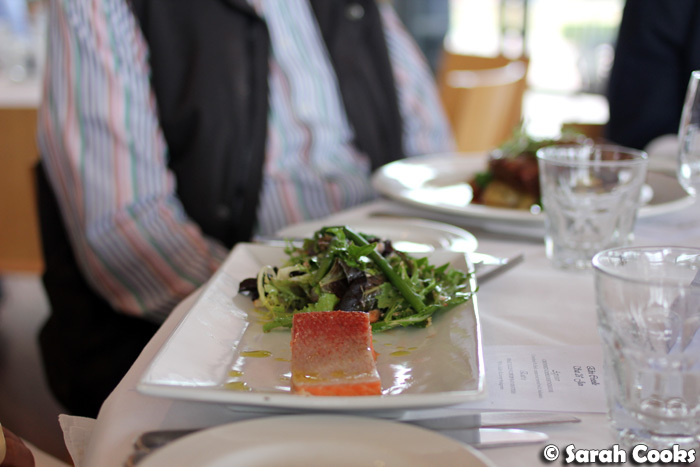 I really enjoyed the crisp skin on the trout as well. 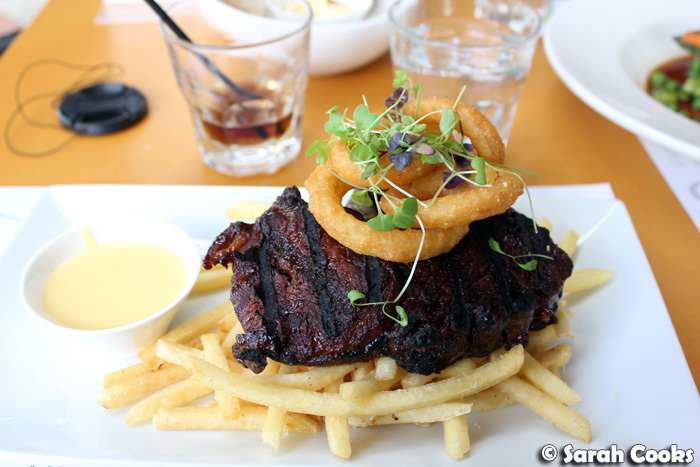 Sandra's steak was cooked just as requested (i.e. very well done), and the crisp battered onion rings were a nice touch - it would have been even better if the hollandaise sauce had been served warm rather than cold. I thought the presentation of this tart was just so pretty! 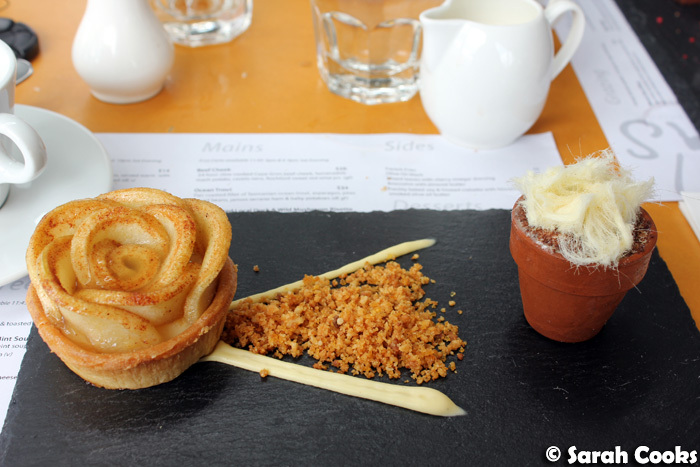 Beneath the pretty apple slices was a creamy custard housed in a crisp shortcrust case. 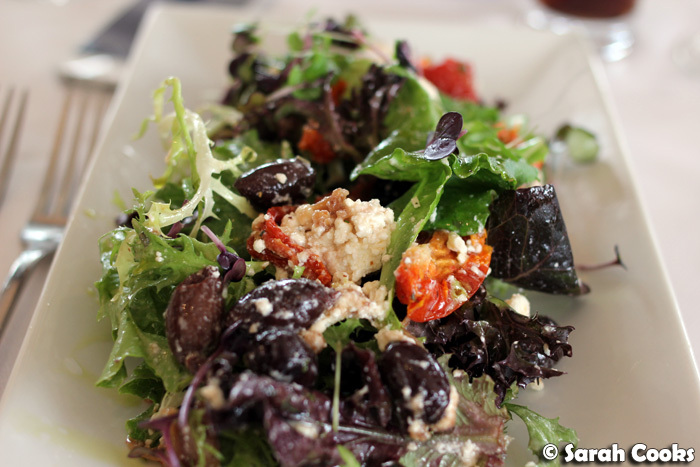 My favourite part, of course, were the crunchy caramelized crumbs - I love the contrasting crunch! 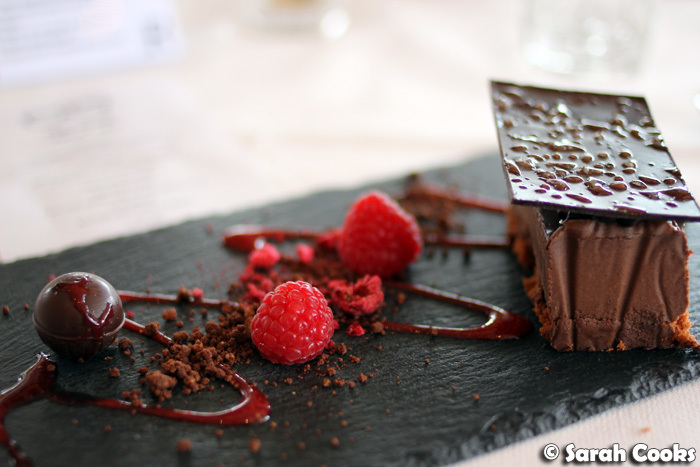 The chocolate truffle was a lot lighter than it looked - rather than the dense ganache I was expecting, it was close to a light mousse, further brightened with the pops of salt, chocolate cookie crumbs and freeze dried raspberry. Very nice. 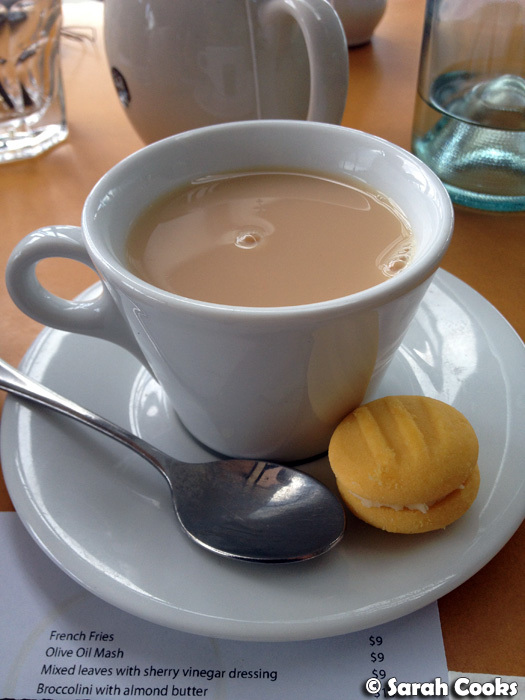 Yes, it's just a cup of tea, but it came with a Charlie's Cookies melting moment! 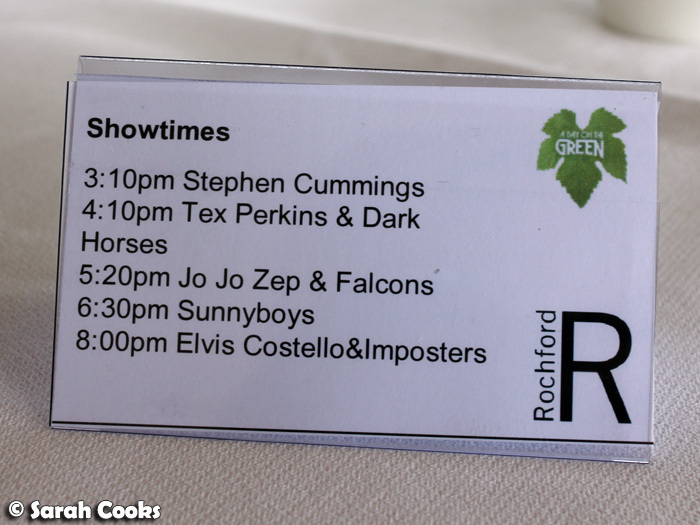 And on Australia Day, we were back for the "A Day on the Green" concert to see Elvis Costello! 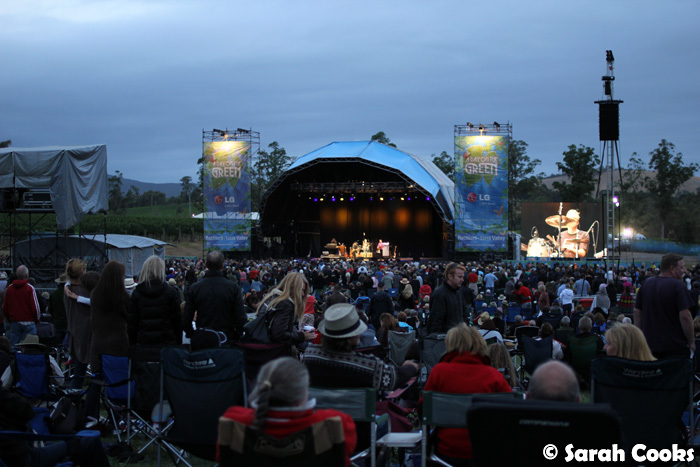 Rochford Wines host three Days on the Green each summer, with different musical acts. 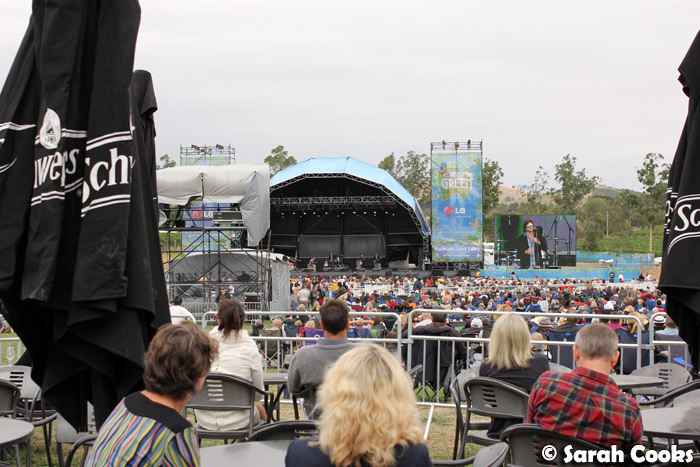 (The next one is Neil Finn and Paul Kelly on 23rd February!) There are a few different options you can go for - there's general admission (bring your own picnic blanket and seats), various seating options, premium general admission (tapas included), and the one we enjoyed: the concert and dining package. 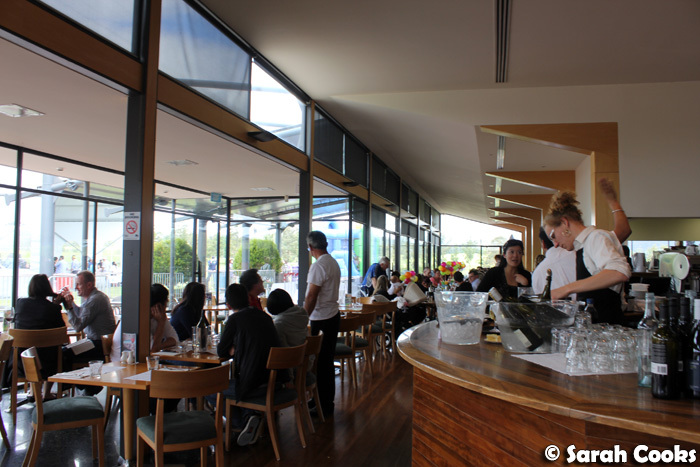 This includes a three-course meal at Isabella's; wine, beer and soft drink; indoor bathroom facilities (yay! ); and a private outdoor patio from which you get a great view of the stage. Here's the lineup! 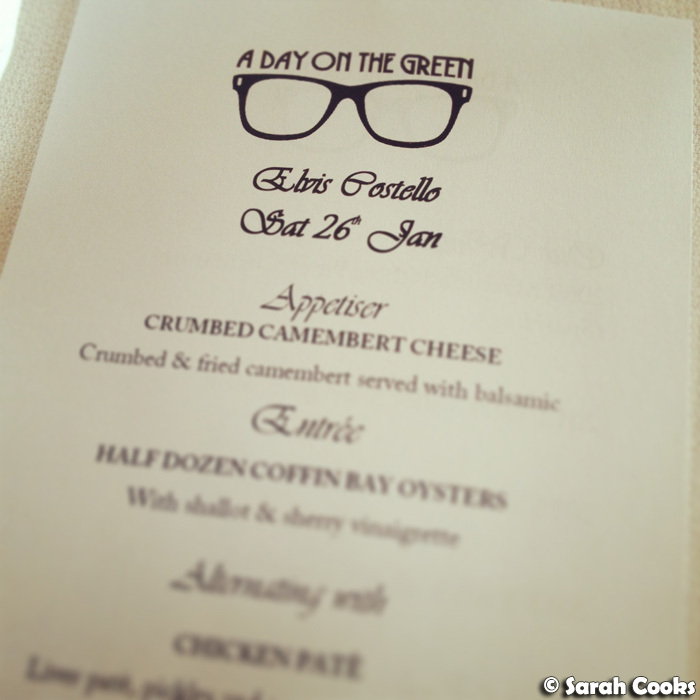 The meal was served in stages between 3 and 6pm, and served in alternating courses (like at a wedding). We popped out in between courses to watch the bands. The first course was a choice of chicken pâté or oysters. How cute is the presentation? Totally instagrammable! 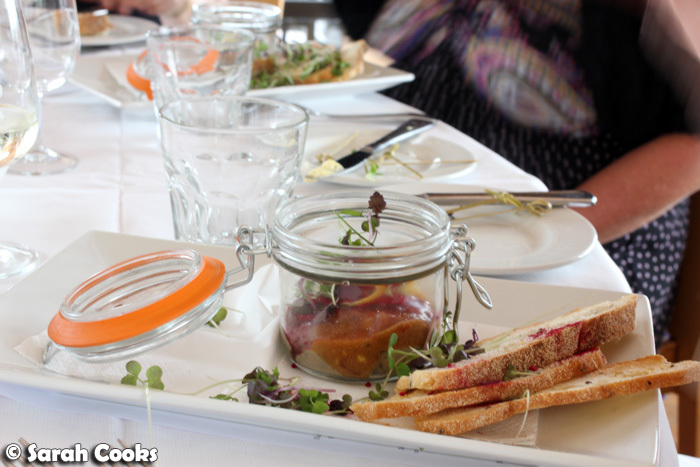 The smooth pâté was complimented by a lovely fruity puree (perhaps redcurrant-based? 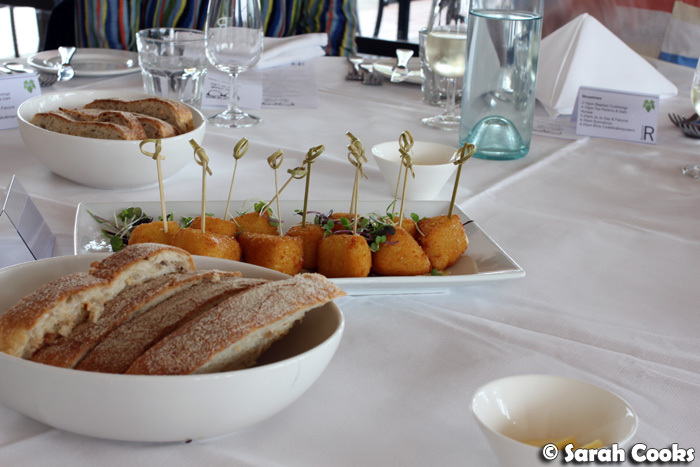 ), and served with crisp ciabatta croutons. 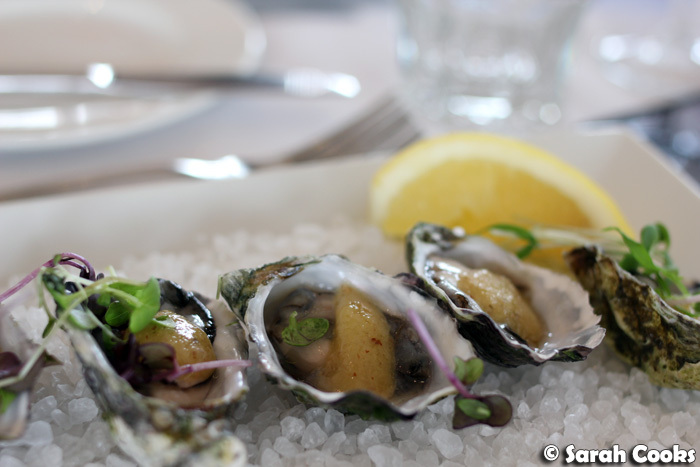 I had the oysters - plump, fresh little things, with a light and tangy vinaigrette. Impressive. For Sandra, who doesn't eat seafood and isn't a big fan of pate, the restaurant kindly put together a fresh little salad for her. At first we thought they might do fish for the ladies and steak for the gentleman, but there was no such gender inequality - thank goodness, because I was sure in the mood for steak! It was really hearty, and very tasty, with a great charred crust. 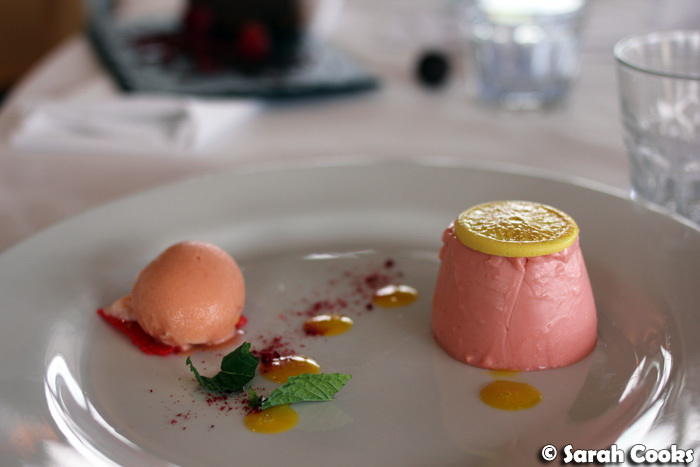 The panna cotta was a very pretty dessert, and I thought the refreshing blood orange sorbet was very nice, but the chocolate dessert was definitely my favourite. Phew! And that was the food. 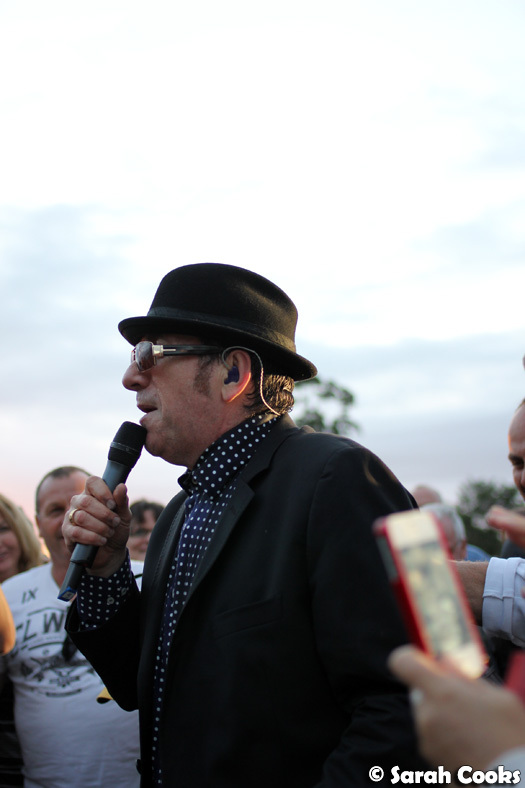 I did mention above that there was an outdoor patio area for the "concert and dining" patrons - but in addition to that, there's also a reserved seating area close to the stage... and later that evening we managed to get really close to the man himself! 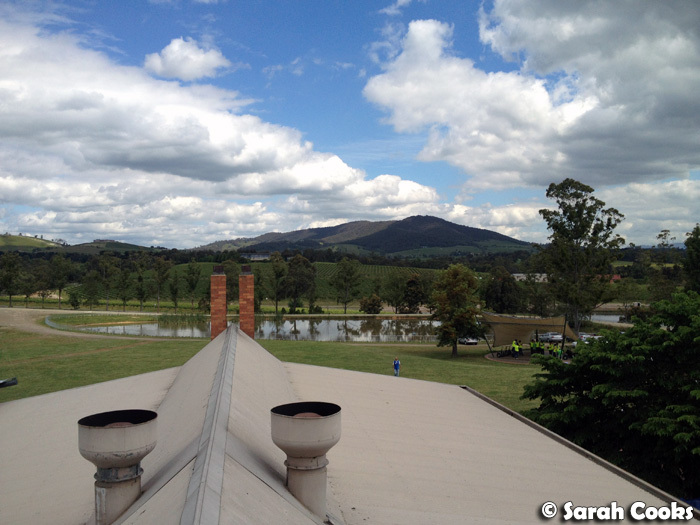 Sarah and Sandra ate at Isabella's Restaurant and attended A Day on the Green as guests of Rochford Winery and Tyrrell PR. Everything at Isabellas looks amazing and I never knew that there was such a nice winery in Cold Stream which isn't that far away from me ~ Another place to put down on my ever growing this!